Something dark, something blacked out is happening at TMK (Trubnaya Metallurgicheskaya Kompaniya, Metal Pipe Company), Russia’s leading manufacturer, and one of the world’s leading manufacturers, of steel pipes for oil, gas, water, and construction. In an unprecedented triple change of mind, TMK owned by Dmitry Pumpyansky announced an initial public offering (IPO) of shares in its American subsidiary IPSCO Tubulars Inc. on January 29. Just ten days later, on February 8, the company announced to the New York Stock Exchange it was withdrawing the share sale. The official reason was that “the continued market and economic volatility are not optimal conditions for an initial public offering.” In four more weeks, on March 9, TMK issued a new prospectus, reopening the sale of the IPSCO shares. The company will not explain why it changed its mind, or what has happened in the volatile New York market to justify restarting the IPO. Not a single London or Moscow-based bank analyst identified by TMK as specializing in its business will give a reason. Moody’s rating agency, which lifted TMK’s outlook from negative to stable on February 28, has also failed to explain what is happening. The answer, however, can be found in the small print of the two IPO prospectuses issued by TMK and IPSCO. 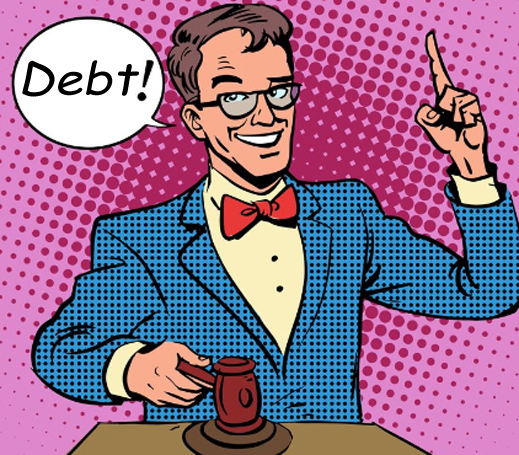 TMK’s debt has been growing, the two prospectuses report, revealing that TMK’s lenders are increasingly anxious to be repaid. Two of the banks are relatively small lenders, but they have been demanding early repayments in recent days, as TMK’s share price fell after the IPO cancellation. The biggest of TMK’s lenders is the Russian state bank VTB. It is pressure from VTB which has caused the sudden re-issue of the IPO prospectus — with one important change visible in the small print; that’s to say, invisible in the small print. VTB is insisting Pumpyansky drop the share price target of the first prospectus and sell for whatever price he can get now. VTB’s cash call has led to a share price target in the new prospectus that is blank. From the point of view of international bankers, other Russian steelmakers, and at times the Kremlin, Pumpyansky has been one of the more unlikeable of the steel oligarchs; the details can be followed in the archive dating back to 2008. The story of Pumpyansky’s attempt to sell IPSCO on the New York Stock Exchange, with an analysis of the first prospectus, can be read here. Debt, shortage of cash, dependence on Gazprom for revenue and VTB for credit were the obvious vulnerabilities on Pumpyansky’s heel. Click for what happened next – the cancellation of the IPO. Market sources regard this as striptease. Look closely at the second prospectus here, and compare it to the first prospectus. The prospectuses are almost identical except for the blanks. Other differences in the small print composed in the six-week interval between them, reveals the debt problem TMK is wrestling with, but doesn’t want to acknowledge too publicly. The IPO documents reveal that in December last, TMK in Moscow called in IPSCO’s debt of $80.9 million. This was paid for with a fresh borrowing by IPSCO from the Merrill Lynch subsidiary of Bank of America and JP Morgan. As of January 25, IPSCO acknowledged that it owed the two US banks $73.4 million. The IPO was intended by the banks to generate $129.2 million for IPSCO – “or $200.1 million if the underwriters exercise in full their option to purchase an additional 3,488,372 shares” (page 45 of the January prospectus). Pumpyansky had agreed with the banks not to keep this cash, but use it to pay off the loan taken in December. “We intend to use the net proceeds from this offering to repay a portion of the outstanding indebtedness under our new revolving credit facility and retain the remainder of the net proceeds for general corporate purposes.” In short, neither Pumpyansky in Moscow, nor the banks lending to IPSCO, wanted to carry the risk of continuing loans to IPSCO. That risk was, still is to be transferred by IPO to new shareholders. TMK and IPSCO debt appears to be something of a Novichok, at least at Merrill Lynch, JP Morgan and VTB. Nobody wants to handle it. Source: TMK’s audited financial report issued on February 28, 2018. The top table shows that both short-term and long-term bank loans have been increasing. 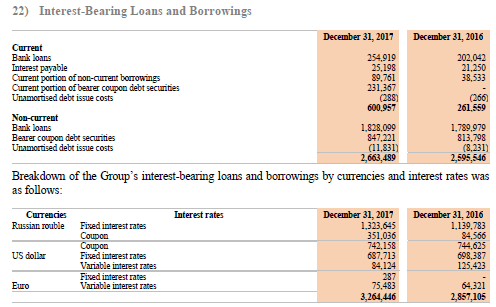 TMK refuses to identify its bankers in its public reports, but the breakdown by currency in the second table shows that all of the increase in indebtedness, and 51% of the total debt is owed in roubles to Russian banks – a total equivalent to almost $1.7 billion. The rouble number almost certainly identifies TMK debt which is owed to the Russian state banks. Since VTB appears from most recent market reports of TMK’s debt refinancings to be TMK’s principal Russian lender, VTB’S Andrei Kostin appears to be telling Pumpyansky what he must do. Left: Pictured sitting together at a meeting in Moscow on February 9, 2018 – that’s the day after Pumpyansky (left) told Kostin (right) he was pulling the IPO in New York – they appear to be sharing a joke. Right: President Vladimir Putin with Pumpyansky at an industrial technology fair at Yekaterinburg on July 10, 2017. In 2014 Putin presented Pumpyansky with the Order for Services to the Fatherland, 4th degree. Standard & Poor’s and Moody’s are the two ratings agencies TMK advertises on the company website. S&P hasn’t reported at all on TMK since last November, ignoring the attempted IPO altogether. On November 27, S&P announced it was lifting the outlook for TMK from negative to stable. Moody’s was more deliberative. 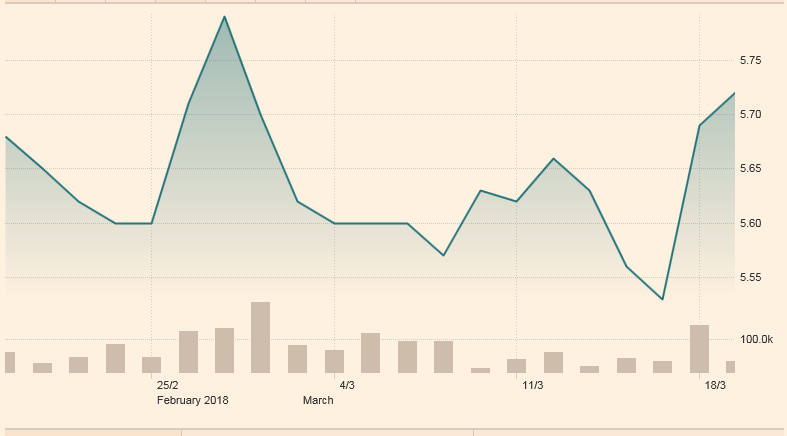 It did the same as S&P for TMK’s outlook but not until February 28; that is, a month after the IPO prospectus been issued for the first time, and almost three weeks after the company had announced it was cancelling the IPO. That triggered a fall in TMK’s stock price of almost 4%, as investors calculated TMK wasn’t going to be able to reduce its debt. Moody’s calculated that TMK and IPSCO would gain in revenue and profit with crude oil in the range for Brent between $40 and $60 per barrel during this year. In theory, this would generate enough cash for TMK to be able to reduce its debt. But the ratings agency wasn’t sure that the IPO would materialize, or if it did, how much money Pumpyansky would be able to draw back to Moscow to pay Kostin. The unwillingness of TMK and IPSCO and its underwriters to set a new share price target is the reason for the blanks in the new prospectus. The analysts listed by TMK were each asked three questions: what is the difference between the new March 9 prospectus issued by TMK for IPSCO and the prospectus issued on January 29? What is your assessment of what the new share price target will or should be? Is it your analysis, and report to clients, that TMK is anxious to sell at any price?